Come celebrate the release of our new independent film, “Penny Palabras”! 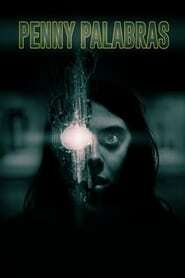 Based on the graphic novel by James Willard and Patrick Beavers, the film explores Penny’s struggle with the paranormal entities that haunt her relentlessly. With her family broken and her friends estranged, the enigmatic Librarian is the only person she can turn to for help. Running on fumes after not sleeping for days, she must figure out what to do about the malicious Straw Man before he hurts her or someone she loves. Directed by Ken Carlson of the Sci-Fi series “Dead Drift” and starring Deena Ingley as Penny, “Penny Palabras” boasts incredible Northwest talent, including Bill Read Jr as the Straw Man and Susan Echols-Orton as the Librarian. With Emilie Rommel Shimkus, Ben Leiataua, Alyssa Kay, Andrew McIntyre, Ethan Grabowski, and John Lyons Beck supporting, “Penny Palabras” plumbs the darkness inside us all, begging the question. After The Bride (aka Nevesta), Russian director Svyatoslav Podgayevskiy directs Mermaid: The Lake of the Dead (aka Rusalka: Ozero myortvykh, Русалка: Озеро мёртвых), a supernatural horror on a ruthless siren….